• Speed Pocket increases the size of the sweet spot and reduces spin. • Improved playability due to its larger hittable face area and decreased overall size. • Matte white finish, black PVD face, and linear AeroBurner crown graphic make alignment easy. 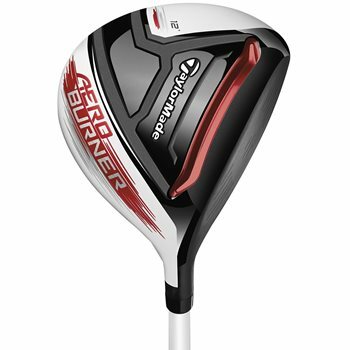 • TP model designed with a longer hosel, flatter lie, and more open face angle.